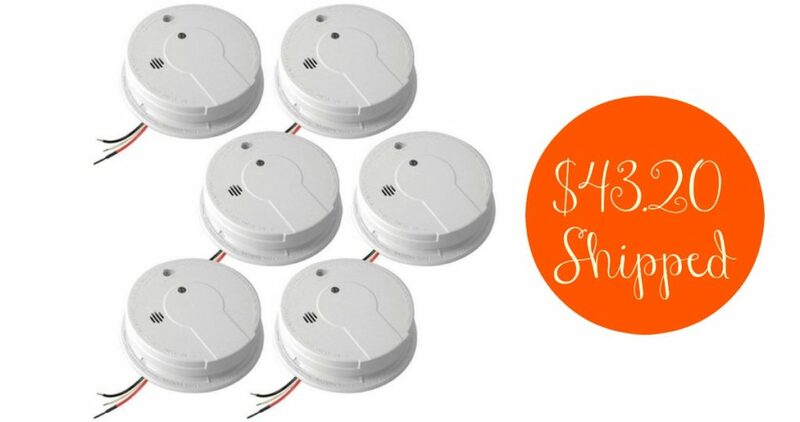 Head over to Home Depot where you can get the highly rated Kidde Hardwire 120-Volt Inter-Connectable Smoke Alarm with Battery Backup 6-Pack for just $43.20 shipped (regularly $54). This deal makes it $7.20 per smoke alarm shipped. All interconnected alarms will sound when one alarm goes off for added safety. Offer valid through 4/30. Choose free in-store pickup.